If you have bad (a 500 credit score to 580 credit score) to poor (a 581 credit score to 639 credit score) credit but want to increase your FICO Score by 150 points then read on to find out how to boost your credit score in the next 6 months. Do you have a Target, Wal-Mart, Best Buy, JC Penny, Kay Jewelers, Kohl’s, Macy’s (Careful as they don’t report credit limits), Ashley Furniture or other department store credit card — or a Chevron gas card, or how about an Orchard Bank or Capital One Rebuilder credit card? Do you know what these credit cards have in common? They approve people with low credit scores. If you don’t have these credit cards, even with a $100 to $400 available credit line — get all of them! You’ll need one regular Visa or MasterCard that is not connected to your bank account as a debit card to use this system to boost your credit score — department store credit cards are easily obtained when you already have a Visa or MasterCard. Step One: Apply for the Orchard Bank credit card, Capital One Rebuilder credit card or you can apply for a secured credit card from US Bank with a $300 deposit. This system really only works if you have available credit to use — spend some money on these new credit cards but only maintain a balance of 10 percent or less of the available credit on these credit cards — credit utilization is important so don’t spend too much. Step Two: Apply for the department store credit cards and go shopping with your new credit cards — be careful not to use over 10 percent of the available credit limit or $30 with low credit limits. NOTE: You will need to have enough money saved to make that one month’s minimum payment on your new credit cards and department store credit cards. The key is to buy something you don’t want or need — the reason is you want to return the item after you have made a payment on the department store card. Read your receipts carefully as most stores require your register receipt to return merchandise — keep your receipt in the bag, taped onto the box, in a file, etc. so that you will be able to find it to return your purchase to the store. Most stores have a 30 (or 60 day) return policy so wait the full 30 days to return the item/product on that 30th day (or 60th day depending on the store/policies) for a full refund of the purchase price. So, by this time you will have made your one month’s minimum payment on your card, you will have shown that you are using your credit line and then you will return the product/items for all of your money back and you will also apply that amount of money back onto your card to show that you are paying ahead. In essence, the department stores will report to the credit agencies that you are using your card and not only making your minimum payment but also paying ahead on your bills. The department store does not report that you refunded your purchase to the credit bureaus and this is not illegal. This is a proven method to improve your credit score if you can stick to returning your purchases and applying that full amount back onto your card — you don’t want to create more debt by keeping the stuff you buy! Step Three: Shop with your new department store credit cards again within three months and follow the process again — department store credit cards will cancel your cards if you don’t use them within 6 months time. You don’t want to keep a large credit versus your available credit though. Get a copy of your credit report now and then one again in 6 months! 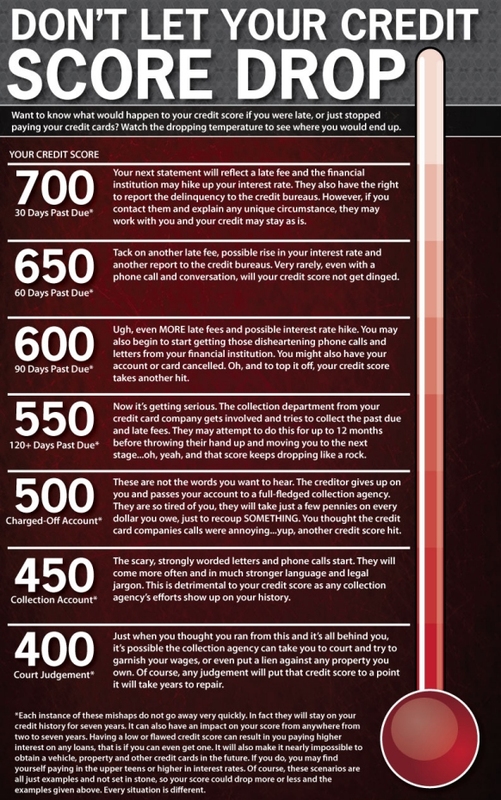 I bet you will be pleasantly surprised at the improvement in your credit score!